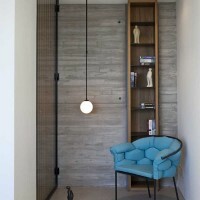 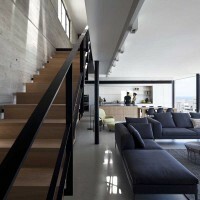 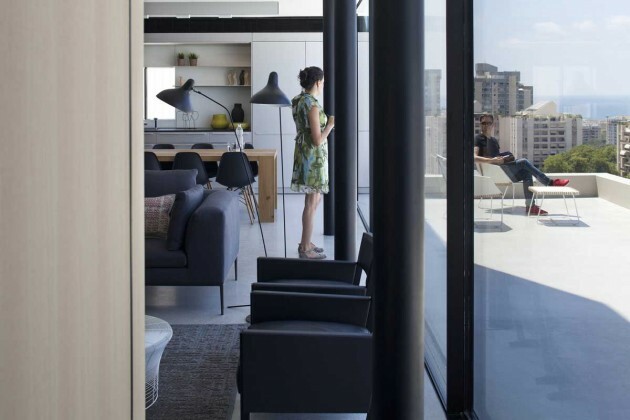 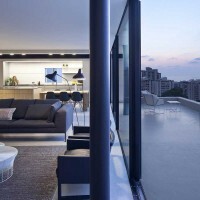 Pitsou Kedem Architects have completed the design of a penthouse apartment in Tel Aviv, Israel. 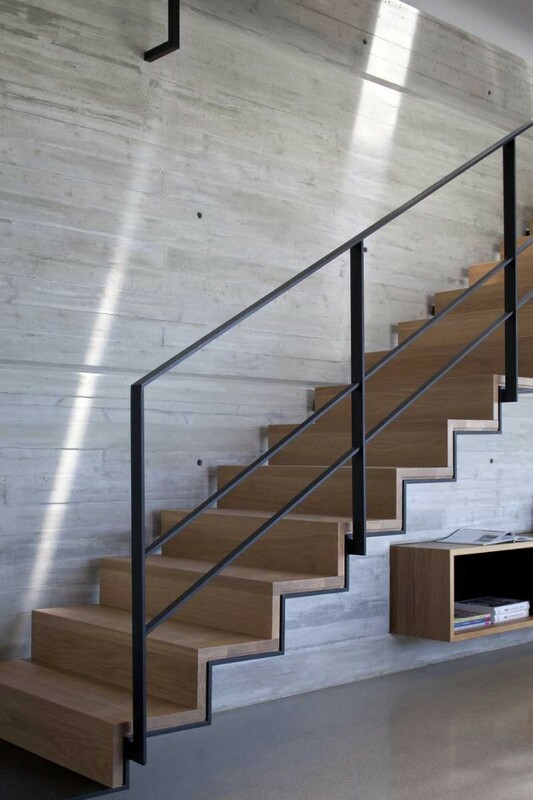 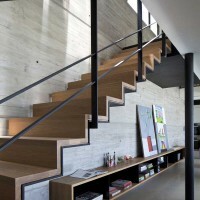 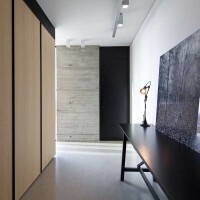 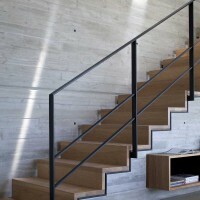 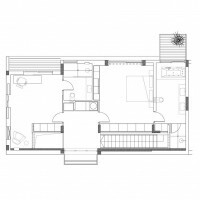 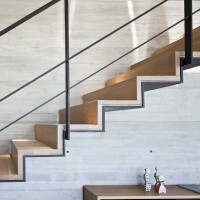 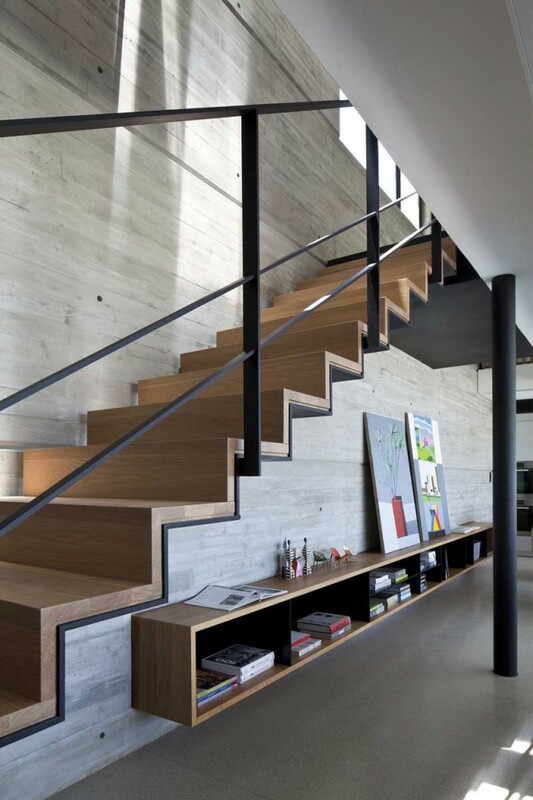 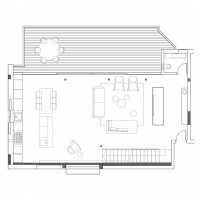 The apartment was designed to integrate with the architectural language and characteristics of other projects by the architectural firm and thus, using modern architectural values, it combines modern elements by using materials in their raw form: exposed concrete wall, iron stairs and furniture, a terrazzo floor, poured on-site and unpainted wood. 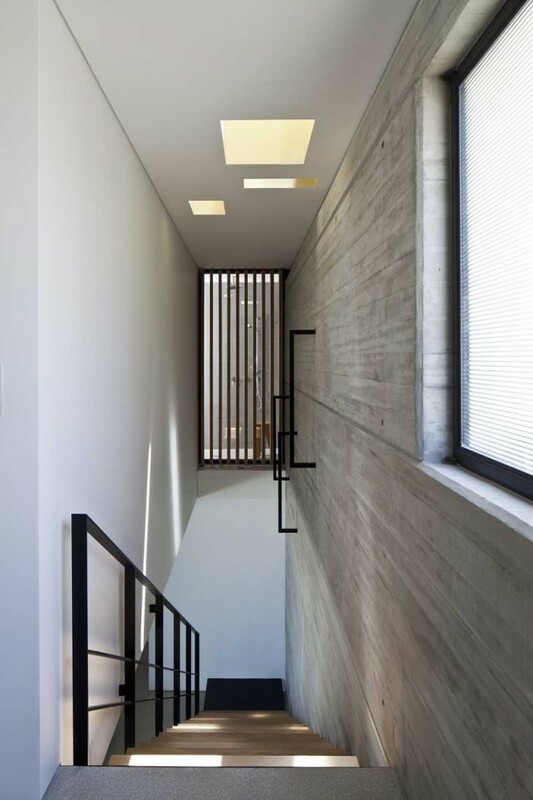 The space created by the new stairwell, divides the movement and the axis of the existing space in a way that creates a dramatic architectural cross section through the apartment, links the different levels and allows natural light to penetrate the building through glass skylights inserted into the roof of the upper floor. 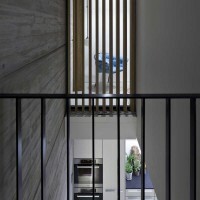 The new cross section creates a double space with transparent glass and a system of moveable wooden slats that makes it possible to create a view between the spaces or to allow privacy and natural light control. 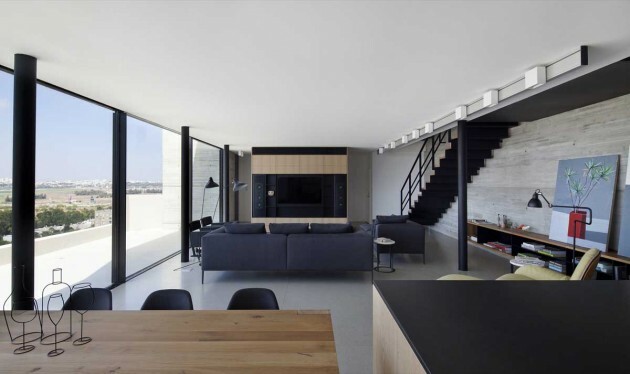 The restraint and scale of the apartment design avoiding the use of gimmicks make it into a “timeless architecture”. 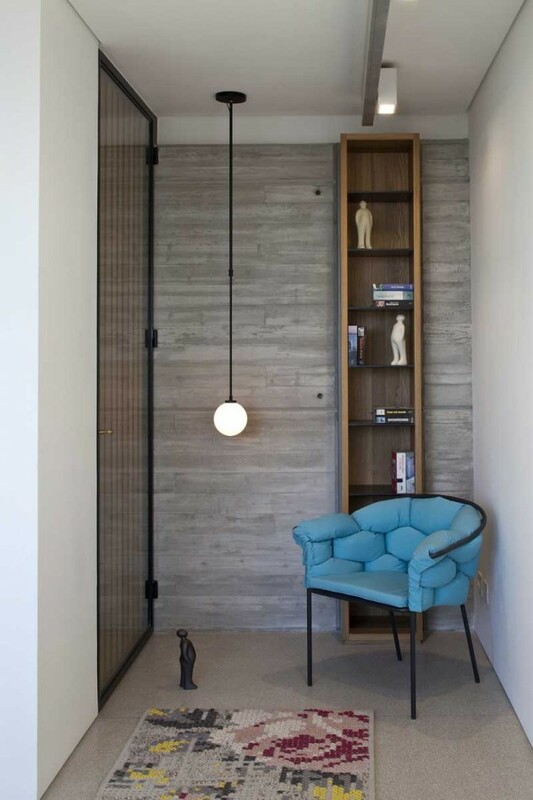 The raw materials and the attempt to create an architecture that was both unfashionable and timeless is complemented by the books and pieces of art hung throughout the apartment including works by the artist Guy Yanai. 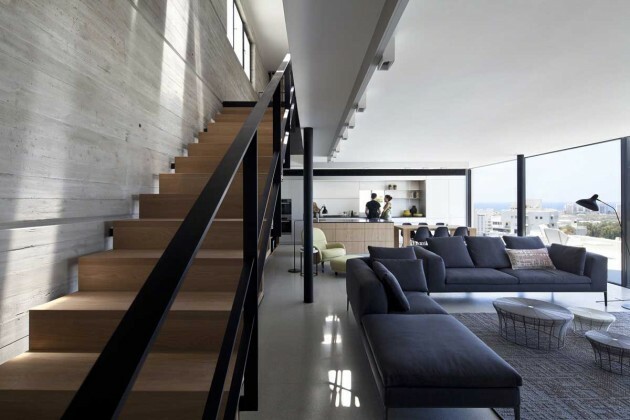 Despite the fact that the apartments has a small area, the spaces feel large and spacious. 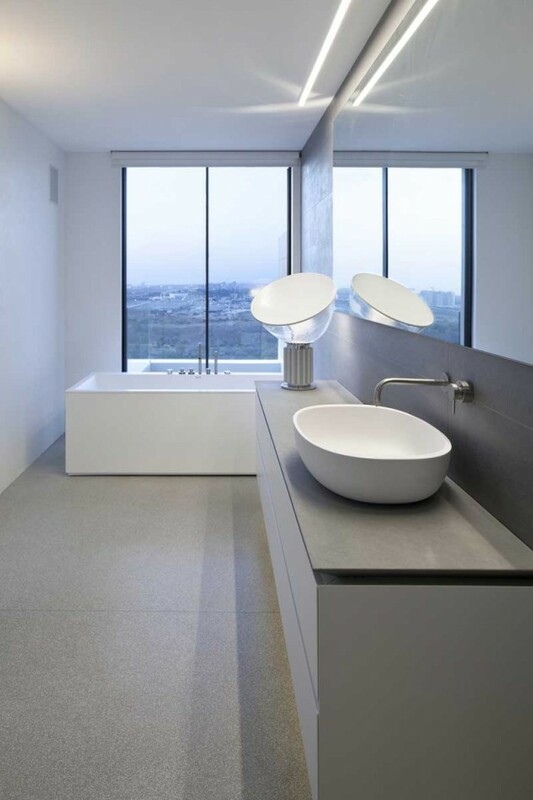 The wide and open views out to the scenery and in between the neighberhood buildings create the feeling of a light and airy space. 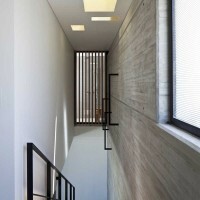 The border between the interior spaces and the balconies is almost totally blurred by a thin glass panel system. 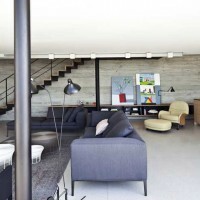 The use of the same flooring, purred terrazzo, both inside and outside also contributes to this feeling of continuity.